I love Fall (or Autumn as it's called here in the Rest of the World), I love being cosy, I love books and I love this tag. I've seen it floating around on BookTube for a few weeks and I'm not sure if someone has brought it to the blogosphere yet but it looks like fun and I want to do it so here we are. Crunching Leaves: The world is full of colour - Choose a book that has reds/oranges/yellows on the cover. 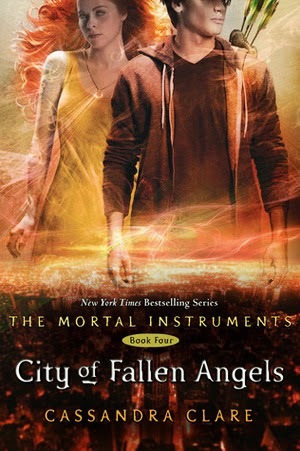 For this one I chose City of Fallen Angels by Cassandra Clare because it is gorgeous and just look at all of those fall colours! The cover just screams 'cosy' to me and it reminds me of walking through my local park and being all snug in my sweater. Love it. Cosy Sweater: It's finally cold enough to don warm cosy clothing - What book gives you the warm fuzzies? 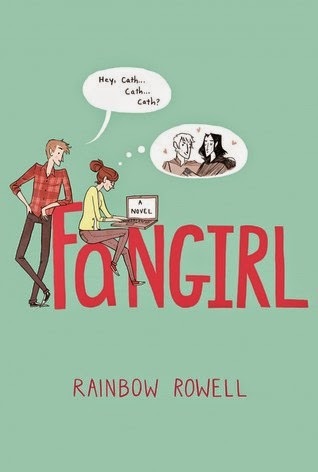 Fangirl by Rainbow Rowell - This one really does NOT come as a shock to me. Or anyone. I talk about this book non stop in fact I'm pretty sure my friends are getting a little sick of it. Every time I think about this book I get butterflies and it just makes me SO happy. Fangirl is a book that is suitable for everyone and I'm pretty sure that everyone whose read it has absolutely loved it. Also - if that date on the other campus doesn't give you the warm fuzzies then I don't know what will. 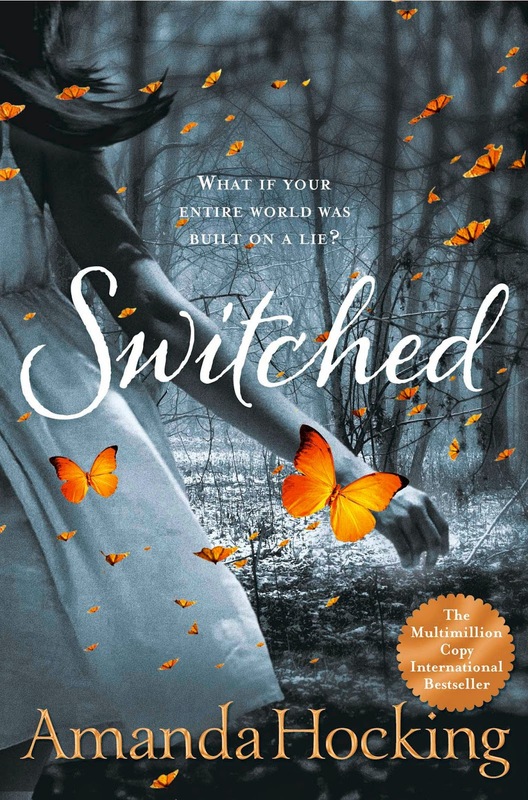 I chose Switched by Amanda Hocking for this one but really just any paranormal/supernatural book is perfect on stormy days. It's been raining a lot lately in London and I've found myself craving for an angsty, paranormal read like I haven't since I was 13. I think there's something about werewolves, vampires, demons etc when it's raining out that just fits the mood so perfectly and really lets you immerse yourself in the story. Cool Crisp Air: What's the coolest character you'd want to trade places with? Most people, I think, would assume I'd say Celeana Sardothien for this one. But nope, I'm going to go for Rowan. Rowan is just that badass character you'd love to be for a day just to get to know what he's thinking. Also, I'd get to be friends with Celeana which is infinitely better than being Celeana. Hot Apple Cider: What under hyped book do you want to see become the biggest hottest thing? 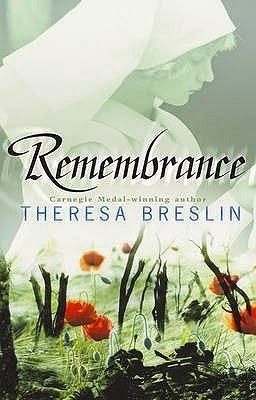 I'm reading Remembrance right now and although I may have missed the hype (it was published a while ago) I think it's one of those timeless books that everyone needs to read. Think: The Book Thief but set during WW1, in Scotland and told through a variety of young people. It's stunning. It's made me cry and I'm not even done with it yet. I think people should read it. If it has been hyped and I've just missed that wave then I have a whole post on my Top 5 underrated books. Coat, Scarves and Mittens: The weather has turned cold and it's time to cover up - What's the most embarassing book cover you own that you like to keep hidden in public? 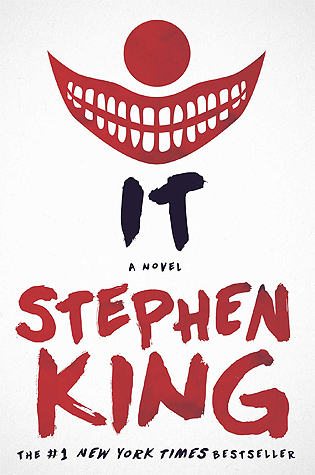 I think I only have a problem with New Adult book covers and their embarassing moments. I was reading this one on a train and it earned me some weird looks - even a suggestive one from a very creepy male. Pumpkin Spice: What's your favourite fall time comfort food? Pumpkin Spice Lattes, Cinnamon buns, Anything from Starbucks, Hot Chocolate, Tea, Popcorn covered in White Chocolate, Fajitas, Crumpets always feel very fall like to me, FOOD. GIVE ME ALL THE FOOD.